Located In the heart of Burswood next to Crown Casino, under the Peninsula Apartments is Urbon cafe, bar and restaurant. One step into Urbon and the interior has an urban and relaxed feel with an alfresco dining area outside and an intimate and comfortable setting inside the restaurant. As it is open every day of the week, Urbon not only serves dinner but also breakfast and lunch. We arrived at Urbon for dinner on a Saturday evening. 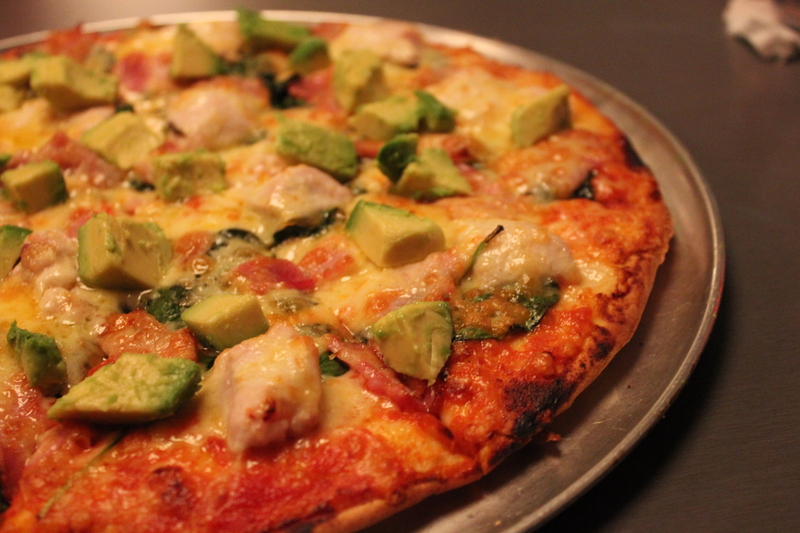 To start, we had the Urbon Combo ($23) pizza to share, consisting of chicken, bacon, baby spinach, avocado and prosciutto. With a thin and crispy crust, the Urbon Combo was already a hit and it was texturally well balanced in terms of flavours. You get the creaminess from the avocado, tender chicken, juicy bacon and the melted cheese on top. It can’t get better than this. Not long after, our mains arrived. 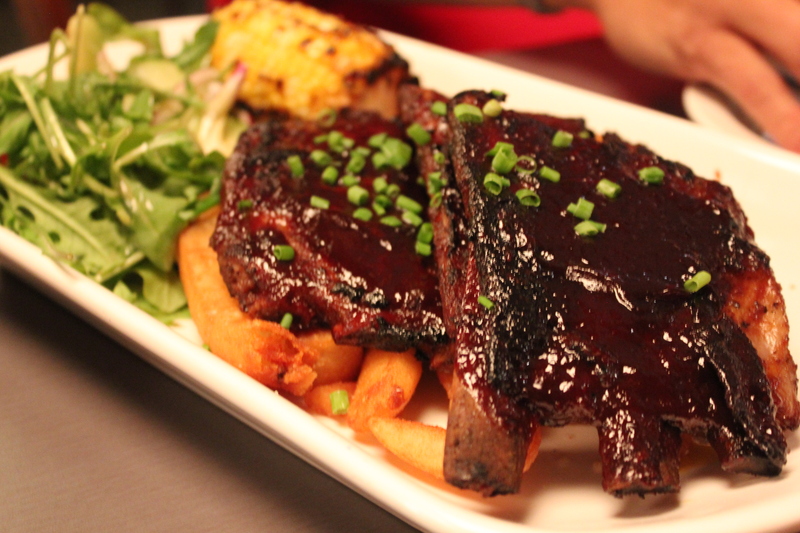 Dad had the BBQ Pork Riblets ($28) with grilled corn on the cob, chips and salad. Wow, I was feeling a little bit envious when I saw dad’s dish! The pork riblets were glazed and marinated so well that it gave a hint of sweet and a slight smoky flavours to the tasty, finger lickin’ good pork riblets. Feel free to get dirty and use your hands to lick the bone clean. 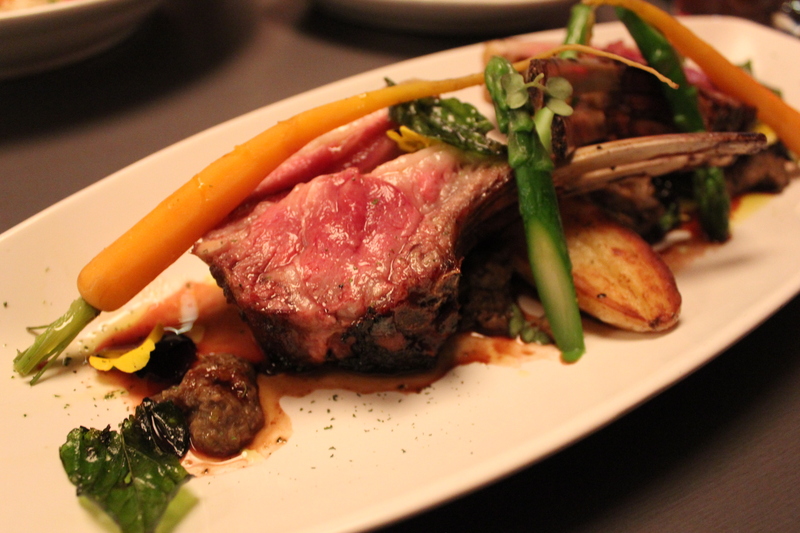 I had the Lamb Cutlets ($38) with smokey chocolate jus, mint jelly, mushroom paste, fried kipfler potatoes, asparagus and carrots. 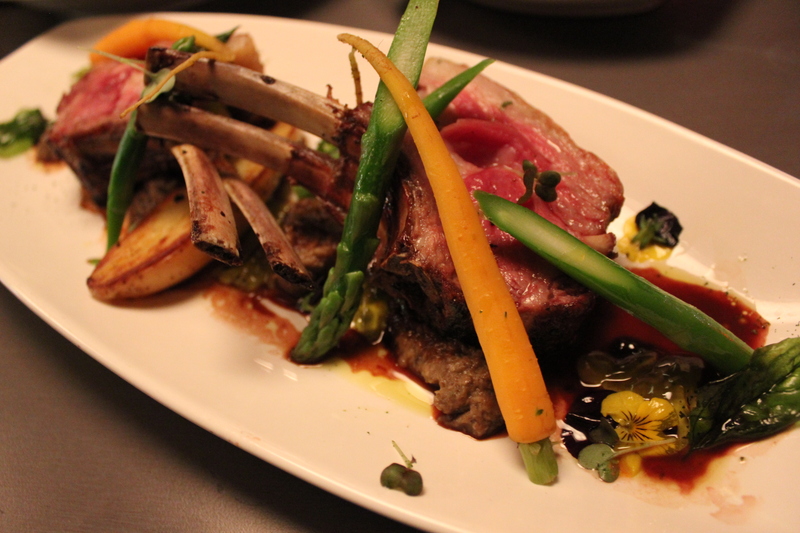 The lamb cutlets which had a hint of red in the middle, was tender and juicy, with a decent layer of fat. Together with the smokey chocolate jus, mint jelly and mushroom paste, the dish was bursting full of flavour together with the lamb cutlets. It was indeed very satisfying. 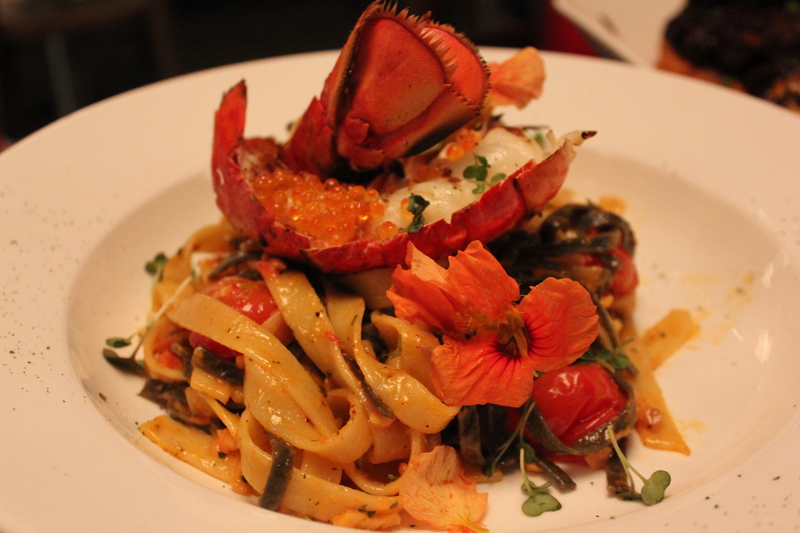 Not being a huge fan of meat, mum had the Pasta Alla man-di, lobster medallion, smoked salmon with creamy cajun sauce and topped with yarra valley salmon caviar ($33). Mum enjoyed her pasta and thought that it was cooked perfectly to al dente, complementing well with the creamy textures of the cajun sauce and the well cooked lobster medallion. The salmon caviar on top gave a hint of crunchy-ness, exploding in the mouth with every bite. Although we were quite full, we did have some room for dessert. We decided to share the Chocolate Dome ($15). 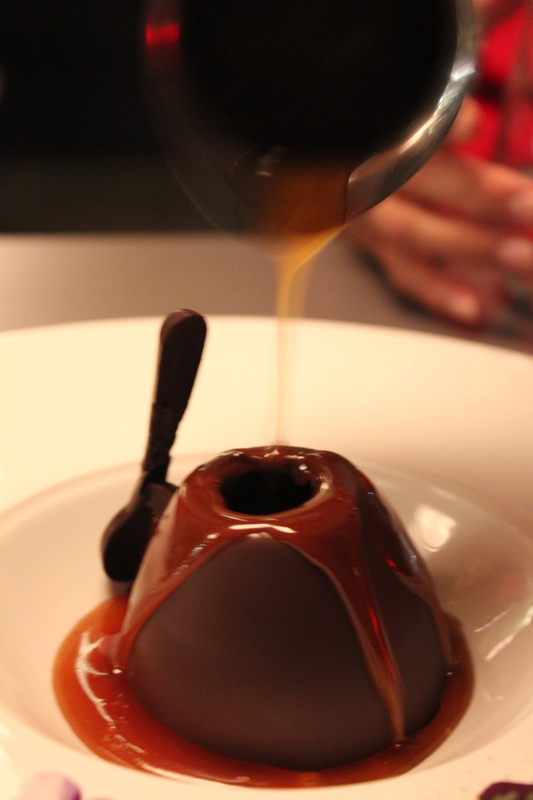 If you order this dessert, make sure you get your phones and cameras ready so that you can witness and capture the magic of drizzling warm caramel on top of the dome to reveal plenty of goodies inside. There’s fresh season fruit, turkish delight and popping candy. Yes, it’s all under one dome and covered with chocolate. It was just simply magical. With its good food, seasonal menus, lovely ambience and atmosphere, it is no doubt that Urbon is truly a hidden gem. The service was excellent – friendly, attentive and efficient. Whether it is a date night, casual dinner with friends and family or a special occasion, Urbon is definitely one place to eat, drink and chill. Looks fantastic! The food looks delicious . Can’t wait to try the food. Hopefully I can visit the place soon. Well done to Urbon.